Mother’s Day is a wonderful time to pause and reflect on all the women in your life and the roles they played. So many wonderful women surround me–from my friends to my family to my coworkers. My life is rich with grounding forces, friendship, support, and love. Each year I try to find a way to express my appreciation and admiration for these wonderful women. The results range from a personalized card to personalized jewelry like charms and pendants with significant meanings impressed upon them. This year is no different, but I’m taking a different approach and turning to projects and techniques on my want-to-do list. 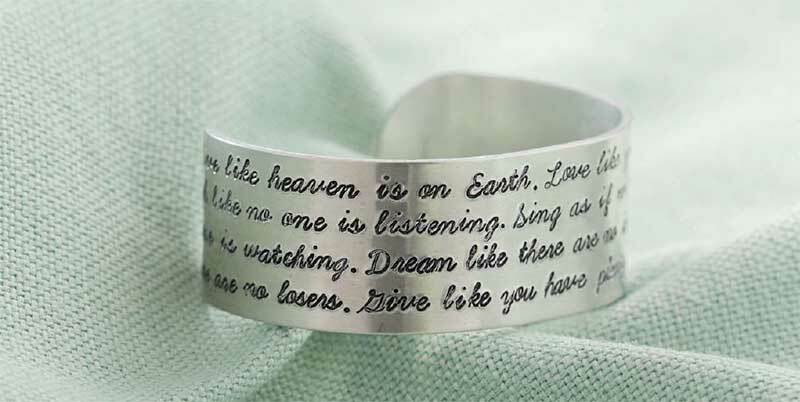 Here are my top 5 personalized jewelry designs. I love the look of quilled paper designs. There is an elegant, old-world appeal to them. I envy those who have the patience to craft these delicate designs and I marvel at the jewelry creations shared by Ann Martin in her book, The Art of Quilling Paper Jewelry. Any of these designs would make a wonderful gift or even a nice addition to a personalized card. Wanting to translate these designs into materials I’m more familiar with, I found myself quilling with metal clay paper. 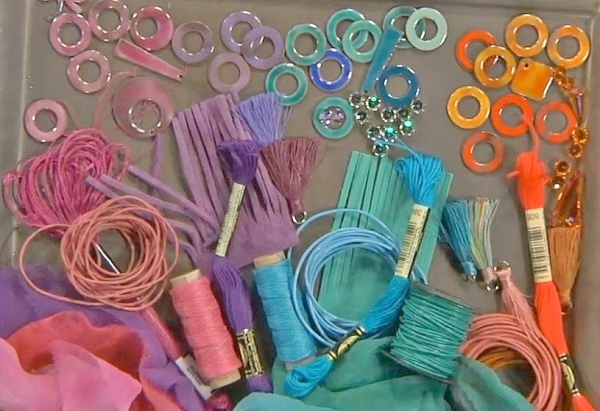 If you’re intrigued by this concept, be sure to check out Jackie Truty’s new course Advanced Metal Clay Series: Quilling Jewelry Using Art Clay and have fun exploring these techniques. 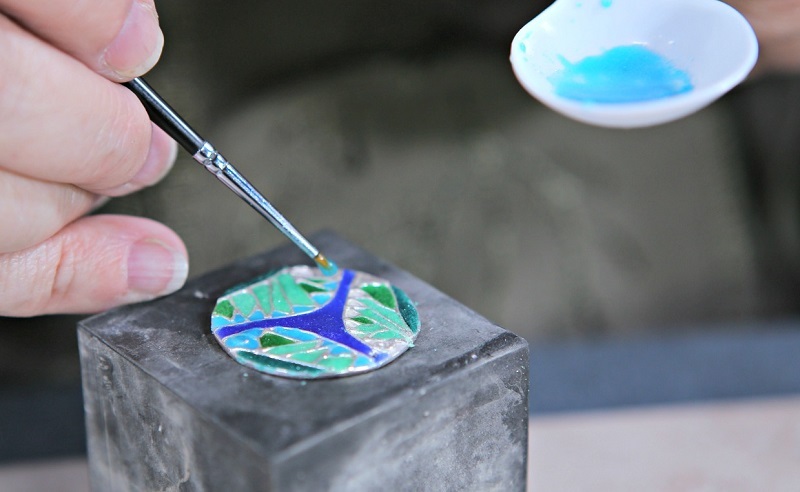 I inject color wherever possible, so I’m continually drawn to enameling. When making personalized jewelry or gifts, this is a great go-to technique, as you can really customize the result. Perfecting the different techniques in this one medium alone could fill a lifetime, but I’ve found my inclination is to torch fire. I think I’m drawn to torching based on the immediacy of getting to the finish line. My tools and supplies for torch firing are easily unearthed in my studio. I can quickly transition my workspace to be suitable for torching. Then, the results are seemingly ready in an instant. If you’re drawn to adding color, too, there are several experts to learn from. Pauline Warg’s workshop is one of my favorites to draw inspiration from. Her Basic Jewelry Enameling: Torch Fired Tutorial workshop was filmed on location at her studio, so it’s the next best thing to being there. Pauline covers all you need to know to set up your own studio, how to work safely, and she covers the basics of many techniques. Her book Jeweler’s Enameling Workshop is also a great enameling resource. Enameled jewelry designs by Susan Lenart Kazmer. 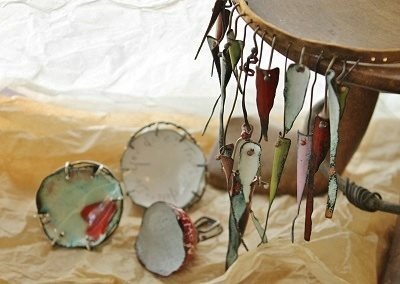 For another take on enameling techniques, be sure to also check out Susan Lenart Kazmer’s online course, Explorations in Jewelry Enameling Torch and Kiln Techniques. 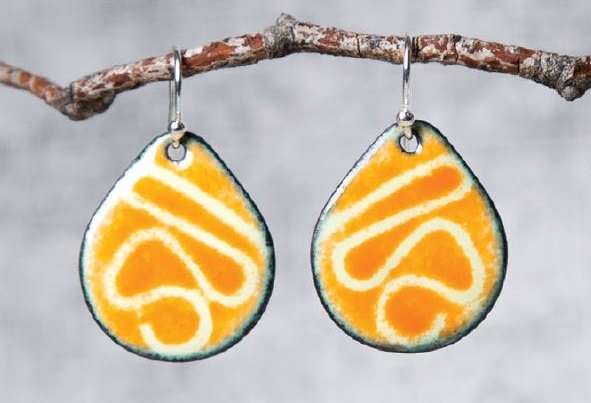 Kristal Wick’s article on Susan’s Top 5 Tips for Enameling Jewelry offers great enameling insight, too. Jackie Truty brings enamel to metal clay in her Advanced Metal Clay Series: Faux Cloisonné Enameled Jewelry Using Art Clay Course. So no matter your inclination or style, these are techniques you can draw from when creating new personalized jewelry designs for anyone on your list, even yourself! I recently came across my finished pieces made during a workshop with Charles Lewton Brain. My crude samples reignited my desire to create jewelry designs using the techniques I learned, which I understand so much better now. In my sketchbook, I have a drawing for a fold-formed brooch. It’s simple but perfect for my Aunt Barbara, who loves anything I make but especially something that’s one-of-a-kind. I’ll spare you my crude sketch and rather share that my idea can be translated in many directions and made by following the techniques you can find in Travis Ogen’s Basic Jewelry Fold Forming video. Fold-formed and enameled earrings by Pauline Warg. 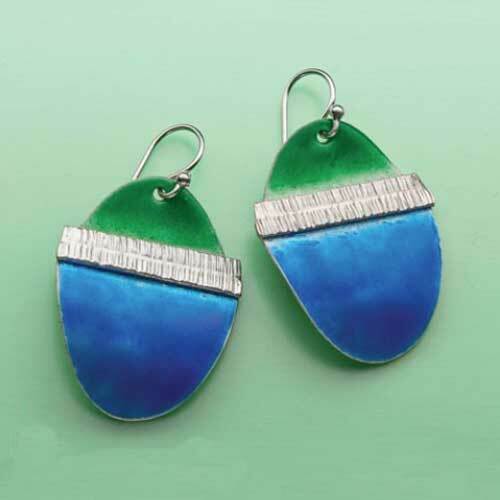 Pauline Warg shares how to make fold-formed enameled earrings in the July 2013 Lapidary Journal Jewelry Artist issue found in The Enameling Video Bundle. Helen Driggs shares a free fold-formed leaf project in Moving, Stretching, and Fold-Forming Metal, Plus How to Fabricate a Metal Leaf. 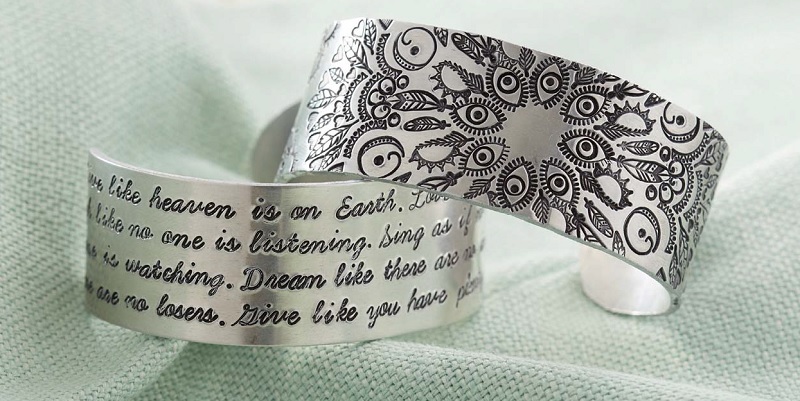 When it comes to making personalized jewelry and gifts, saying “I love you” is easily done with metal stamps. And no matter how many ways you slice it, adding words, phrases, and names to a design helps make your work unique and your own. 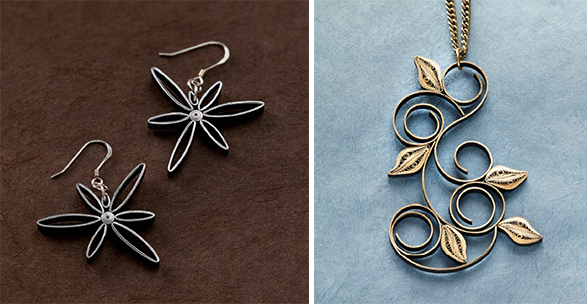 A compendium for inspiration is New Stamped Metal Jewelry by Lisa Niven Kelly and Taryn McCabe. In this book, you’ll find 23 projects, including how to create mandalas–something so on trend (and forgiving, if this is a new adventure for you). And this 5-star rated book is more than just stamping; it also includes instructions for finishing your stamped personalized jewelry designs. From stringing a finished necklace to using your stamps on leather–there is something in here for you. Bracelet made using the Straightliner Jig by Danny Wade; ImpressArt bracelet blank and “Love” metal stamp; heart stamps and alpha star by Beaducation. 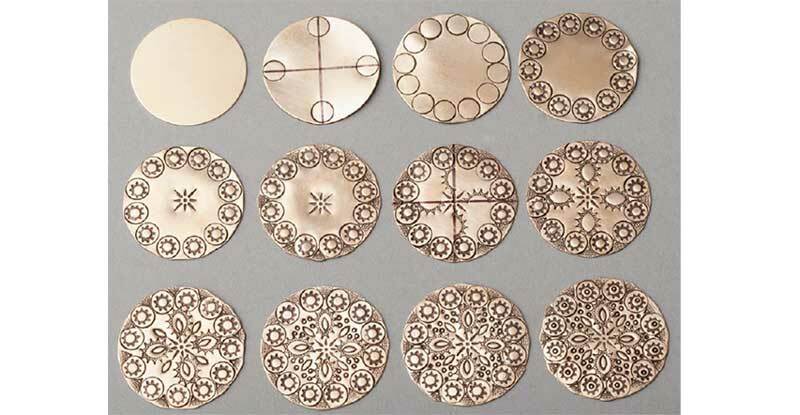 If you need some help with keeping your stamping in line, read Metal Stamping: New Tools, Techniques, and Ideas for tips and new tools to help in your studio. I take solace in knowing I’m in good company with other jewelry designers. Many of us lose track of time and find we need to make our gifts more last minute. For all my planning and plotting, sometimes (often) I’m faced with assembling a finished jewelry design using materials I have handy. That means beads and stuff I have left over from a recent workshop that I still haven’t put away. If you can relate, please know you’re not alone. We all come to the table with the best intentions, but life sometimes gets in the way. And never worry! There is always room for last-minute jewelry-making ideas and resources to help you. 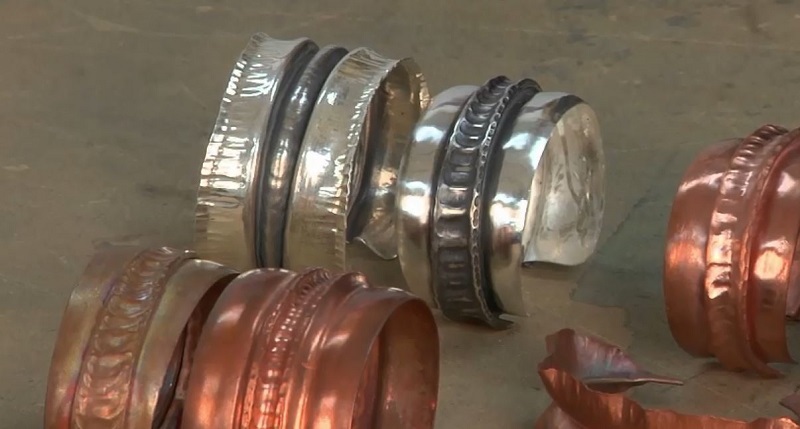 Enter: Easy Metal Jewelry Making. This special magazine is jam-packed with ideas sure to inspire your next jewelry design and maybe even one that’s fit for gifting. 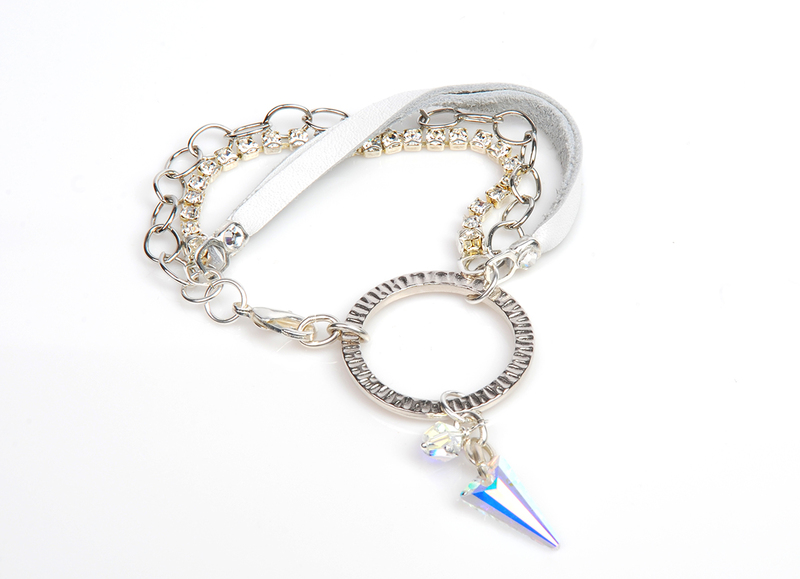 If you’re really pressed for time, read Make This Leather Bracelet Then Sparkle and Bling! for a quick and easy free project. Looking for sentimental and quick? Kerry Bogert shares her Grandma Bracelet in the article Free Bracelet Jewelry Making Tutorial. 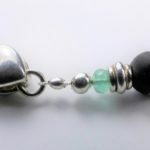 Whether making jewelry for a gift, for a special occasion, or just to push yourself to learn something new–I hope you enjoy the process from start to finish. Learn more about personalized jewelry and Tammy’s other top picks!